A copy of faxes received into a Sfax number will be filed into the ShareFile folder(s) that the fax number(s) have been linked to. More than one fax line may be linked to the same ShareFile folder, however a fax number may not be linked to more than one ShareFile folder. 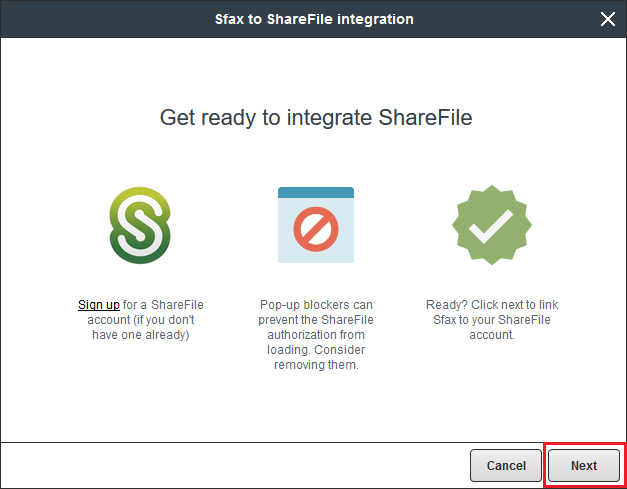 You will see the ShareFile integration, and you will click Activate to start the process. If you are logged into a ShareFile account the browser may recognize it and the account information will display here, and you can enter the email address and password them click Sign In. If you have more than one account associated with your sign in, then you will need to select an account after you click Sign In. The Integration admin is the contact (must be an Sfax admin) who we will notify if there are any problems with the integration (i.e. we were not able to file the fax to a ShareFile folder for some reason). So if you are setting up the integration but will not be managing it moving forward, you can change to a different Sfax admin. The ShareFile account field is identifying the email address for the ShareFile user account that the integration was activated under and ShareFile domain. 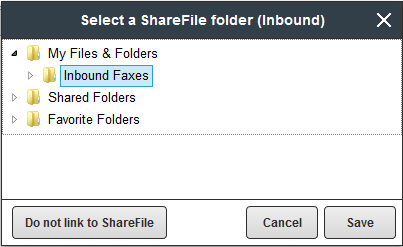 Enabled which means the faxes will file to the linked ShareFile folder. Suspended which means that the faxes will be held in a queue until the integration is enabled again (the faxes will then file to the linked ShareFile folders). Disabled which means that faxes are not filing to ShareFile folders at all. NOTE: If we are not able to deliver faxes to ShareFile folders after multiple attempts, we will suspend the integration and hold your faxes in a queue until an admin confirms that all fax lines are properly mapped and then enables it again. 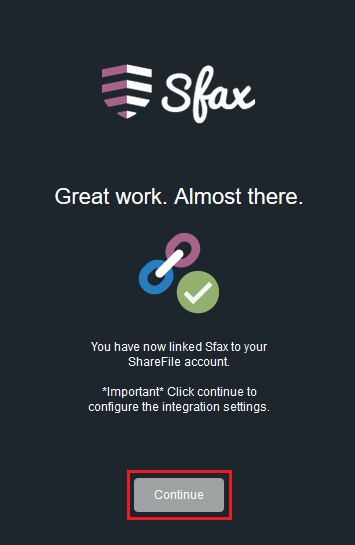 You will not lose your faxes, they will be available in your Sfax account, and they will begin filing to the ShareFile folder(s) when the integration is enabled again, assuming it was not disabled first. 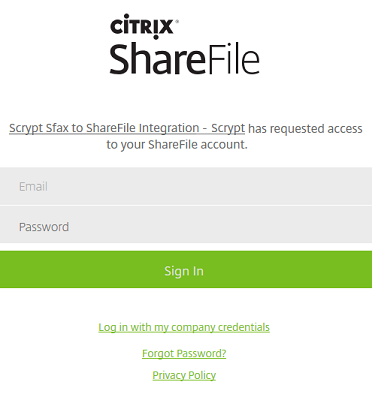 Retain until deleted by user which means Sfax will retain a copy of the fax delivered to ShareFile in the Inbox folder until deleted by the user. Delete upon delivery to ShareFile which means the fax will be delivered to ShareFile and Sfax will remove the fax from Inbox folder. Here you will see all fax numbers in your Sfax account. 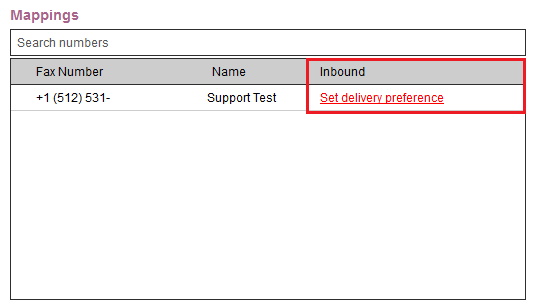 For each of these numbers you will need to go to the Inbound column and select Set delivery preference. When click on the link to "Set delivery preference" you will see a folder tree representing all of your ShareFile folders ( These are not file folders on your computer, they are in your ShareFile account). You will then need to select the ShareFile folder that you would like faxes delivered to that particular number filed into. You will replicate this process for all fax lines for Inbound folders. If you do not wish to have a fax number linked to a ShareFile folder then please select "Do not link to ShareFile" in the lower left hand corner. The faxes for that line will not be delivered to any ShareFile folders. 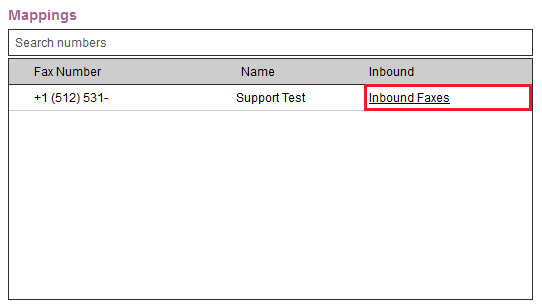 After you have linked to the ShareFile folder, the ShareFile folder name will be displayed in the Inbound column. If you did not link to a ShareFile folder then it will say "Not linked to ShareFile". Once the Fax line(s) have been linked, the new faxes will immediately begin filing to the ShareFile folder(s). The previously existing faxes will not be delivered to the ShareFile folder. This is what the faxes will look like from the ShareFile folder. The naming convention used is SFAX_Fax ID. 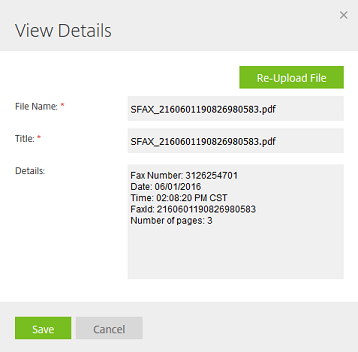 If you select a fax and click View Details then the following editable details screen will be displayed with information populated from Sfax when the fax was delivered to ShareFile. 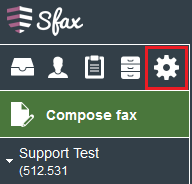 If you select the yellow details icon then the following editable details screen will be displayed with information populated from Sfax when the fax was delivered to ShareFile. If for any reason you need to deactivate ShareFile, please go to Settings > Manage integrations and select Deactivate. 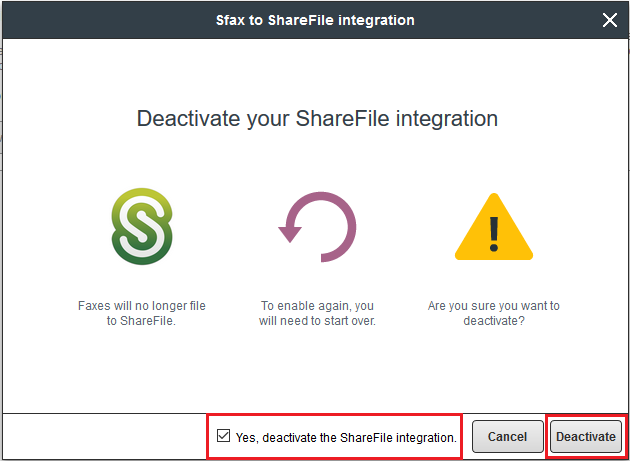 Once you click Deactivate, the Sfax to ShareFile integration window will open up with three warnings as shown below. You will need to put a check mark in the box next to "Yes, deactivate the ShareFile integration." and click Deactivate. 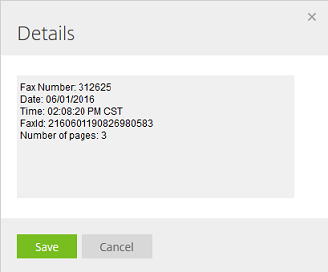 If you plan to send faxes from the ShareFile Print driver you will need API keys to do so. To learn how to obtain your API keys see instructions below. If you only want Inbound faxes to be delivered to your ShareFile account then you will not need API keys, simply activate your account and map each fax number to a folder. To generate Sfax API keys, under ShareFile settings click Manage API Keys. The Manage API Keys will open listing all your Sfax users and their API keys. 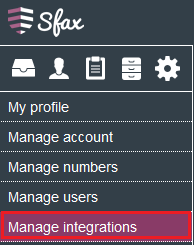 Username(Name) Users without a default fax number will be displayed in red and underlined. In order to view the API keys for a user and also enter the keys in your ShareFile account, you must set a default outgoing fax number for the user in their profile. You can click on the red underlined user name to set a default fax line. API Key & Encryption Key The API Key & Encryption Key column will display message ‘ You must select default outbound fax line for this user before you are able to view the API keys.’, if the user does not have default fax number assigned. Once the default fax number is assigned you will be able to view the keys. Copy button allows you to copy and paste the API Keys & Encryption Keys to where you need them. Update button allows you to generate new API Key & Encryption Key for that specific user. After you clicked Update, the following window warning will open.Once you have updated the API keys, the user will need to update the keys in their ShareFile account. Last updated displays the date, time stamp and the Admin user name who updated the API keys.